All-electric Jaguar I-PACE has been awarded Norwegian Car of the Year 2019. 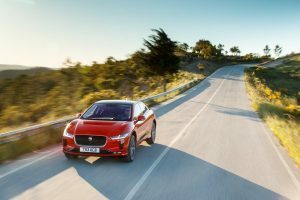 According to the company, eight expert jurors voted for Jaguar’s first electric vehicle (EV) against eight other finalists, including the Volvo V60, Nissan Leaf and Ford Focus. The jury, which included a racing driver and industrial designer as well as automotive journalists, evaluated all aspects of each vehicle’s performance, and loved I-PACE’s driving dynamics, range and premium feel. Seven of the eight voted the I-PACE as the winner, adds the statement of the company. The British EV has had a profound impact in the Norwegian market, more than doubling Jaguar sales there in the last six months. Norway is one of the most developed markets for electrified vehicles in the world: there are more than 178 500 EVs on the road already, and they account for 29 % of the vehicles sold in the country this year so far – add in hybrid and plug-in hybrid electric vehicles and that figure reaches 60 %. The I-PACE has now received over 30 awards globally since its March reveal, including German Car of the Year, BBC TopGear Magazine EV of the Year and China Green Car of the Year.